Respondent: mAhEsh vijaysinha rajebhosale and ORS. 1. The appeal has been preferred by the defendant aggrieved by the judgment and decree passed by the trial court affirmed by the District Court and the High Court. The plaintiffs/respondents who are the sons and daughters of Anandibai, filed a suit for partition of the land comprised in Survey No. 43/2, area 319 acres, 36 guntas situated at village Jawali, Taluk Phaltan, District Satara. The plaintiffs averred that the land was ancestral property initially inherited by Jagdevrao who expired in 1928. He had three wives, namely, Bhagirathibai, Gajarabai and Kamalabai. They died in the years 1927, 1950 and 1992 respectively. Jagdevrao had one son Shankara Rao alias Bajirao who breathed his last on 6.2.1958. His daughter Shakuntalabai died on 1.10.1962. Shakuntalabai died issueless. Anandibai alias Sulochana, sister of Shankara Rao, succeeded to the property. She also died on 20.1.1977. Her property was inherited by the plaintiffs being her sons and daughters. The suit was filed against Chimasaheb who was also son of Jagdevrao. Chimasaheb died on 18.8.1982. Bapu Saheb, appellant No.1 and Vijayantadevi, appellant No.2 are his successors. 2. Plaintiffs averred that the property originally belonged to Parbatrao and Jagdevrao. After death of Parbatrao, his son Bapu Saheb succeeded to his property. After death of Jagdevrao, names of his two sons i.e. Chimasaheb and Shankara Rao were mutated. Shankara Rao had only one daughter namely Shakuntalabai who died on 1.10.1962. She was unmarried. Anandabai @ Sulochana succeeded to her property, being sister of her father i.e. daughter of Jagdevrao. Anandibai had filed a civil suit in the year 1963 for declaration of her share in certain other property. The suit was decreed and she was declared owner of ½ share. It was held that Anandibai @ Sulochana was the heir of Shakuntalabai. The judgment had been affirmed by the High Court. The name of Anandibai was required to be mutated after death of Shakuntalabai. In the year 1976 the plaintiffs came to know that the name of Anandibai had not been mutated over the land in question. Anandibai @ Sulochana filed an appeal in which ex parte order was passed against her. However as the defendants were trying to sell the land as such suit was filed for partition and separate possession. 3. Defendants in their written statement contended that in the previous civil suits filed by Anandibai, the property had not been included as such the suit was barred by Order II Rule 2, CPC. It was also contended that the name of Shankara Rao was mutated during his life-time and upon his death, it was recorded in the name of Shakutalabai. The share of Shankara Rao was partitioned and was allotted to the share of Chimasaheb. Chimasaheb denied the plaintiff’s right in the year 1962 and had been enjoying the property as absolute owner for more than 12 years. Therefore, suit was barred by limitation. 4. The trial court decreed the suit and held the plaintiffs and defendants to be co-owners and in joint possession of the suit land on the date of the suit. The defendants were not in exclusive possession. The right, title and interest of Anandibai @ Sulochana was not denied by Chimasaheb before 16.7.1976. There was no ouster of the plaintiff. The suit for partition could not be said to be barred by limitation. Nor it was barred by provisions of Order II Rule 2, CPC. The appellate court had also affirmed the findings. The second appeal preferred had also been dismissed vide impugned judgment and order, hence the appeal. 5. It was contended by Mr. J.P. Cama, learned senior counsel appearing on behalf of the appellants that the suit was clearly barred by limitation as per the provisions contained in Article 65(b) of the Limitation Act, 1963. It was also urged that the possession was adverse to the interest of the plaintiffs, as they were claiming through Shakuntalabai, Hindu female, who died in the year 1962, suit filed beyond 12 years in the year 1979, was clearly barred by limitation. Apart from that, the property was not included in the earlier suit preferred by Anandibai as such the instant suit filed by the plaintiffs was clearly barred by the provisions contained in Order II Rule 2, CPC. 6. It was urged by Mr. S.B. Deshmukh, learned senior counsel for the respondents that Article 65(b) is not attracted as Shakuntalabai was the full owner of the property and concurrent findings had been recorded by three courts that the defendants were not in adverse possession and plaintiffs were in joint possession on the date of filing of the suit. As the cause of action for earlier suit for declaration of title filed in the year 1963 was different, the plaintiffs had succeeded to the property left by Anandibai in the year 1977. In the earlier civil suit for declaration of title, it was held that Anandibai had succeeded to the share of Shakuntalabai. Subsequent suit for partition could not be said to be barred by the provisions contained in Order II Rule 2, CPC. The earlier suit for declaration of title filed by Anandibai was with respect to a different property. 8. It was submitted on behalf of the appellants that Anandibai became entitled to possession of the property on the death of Shakuntalabai in the year 1962. The name of Chimasaheb, original defendant, was mutated and possession of Chimasaheb became adverse w.e.f. the date of death of Shakuntalabai in the year 1962. Thus the suit preferred by the plaintiffs in the year 1979 beyond a period of 12 years, was hopelessly barred by limitation. We are unable to accept the submission as Explanation (b) to Article 65 of the Act is applicable only in the case where property is not claimed through the female but independently of woman who has died. The word “entitled” contained in Explanation (b) to Article 65 clearly means a person is entitled independently of the right of the Hindu or Mohammedan female. In case she is absolute owner Article 65(b) will have no application. In other words, it is necessary to trace the right to someone else and not to the Hindu or Mohammedan female, as the case may be. In the instant case, Shakuntalabai, daughter of Shankara Rao became absolute owner of the property on 6.2.1958 and on her death on 1.10.1962, the right accrued to Anandibai on the basis of inheritance made from Shakuntalabai who was the owner of the ½ share in question. When the property is claimed from a woman, Hindu or Mohammedan, who was the full owner, it could not be said that Anandibai or the plaintiffs became entitled to the property independently of the rights of female i.e. Shakuntalabai. Thus the suit filed by such heir of female for separate possession/partition would not be governed by Explanation (b) to Article 65. In such a case limitation would not commence as per Explanation (b) to Article 65 on death of female Hindu. However, the starting point of limitation for computation of 12 years would be the date of start of adverse possession otherwise. 9. In Hashmat Begam & Anr. v. Mazhar Husain & Ors. (1888) ILR 10 All. 343, a Division Bench has opined that the word “entitled” has to be understood in Explanation (b) to Article 65 as meaning “entitled independently of the right of the Hindu or Muhammadan female”. Similar view has been taken in Ghisa Singh & Anr. v. Gajraj Singh AIR 1916 Oudh 50, Mohammad Yaqub v. Bijai Lal AIR 1918 Oudh 32, and Zarif un-nisa & Ors. v. Chaudhri Shafiq-uz-zaman & Ors. AIR 1923 Oudh 185. Explanation (b) to Article 65 is not applicable to a heir of Hindu or Mohammedan female who is full owner of the property as it could not be said that the person became entitled to the property independently of the right of the female but derives right through her. Hence, the suit by such a heir could not be said to be governed by Explanation (b) to Article 65 as held in Hashmat Begam & Anr. (supra), Ghisa Singh (supra), Mohammad Yaqub (supra), Zarif un-nisa & Ors. 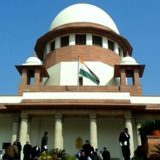 (supra); and Malkarjun Mahadev Belure v. Amrita Tukaram Dambare & Ors. AIR 1918 Bom. 142 on consideration of provisions of Article 141 of the Limitation Act. “3. Sunder had executed, during his life time, a gift deed on 23.6.1920 in favour of his daughter Smt Manshan (mother of the plaintiff). He died on 17.9.1941. On 3.8.1945 Smt. Kirpi, widow of Sunder, filed suit against Smt Manshan which finally resulted in a compromise to the effect that Smt Kirpi will enjoy the suit property as long as she was alive and after her death the property will be inherited by her daughter Manshan. It appears that on 23.8.1958, Smt Kirpi executed an adoption deed in favour her second daughter’s son, namely Varinder Prakash “ the defendant and also executed gift deed in his favour. Smt Manshan, mother of the plaintiff, filed a suit on 27.5.1959 for cancellation of the gift deed and for a declaration that the adoption was illegal. The suit was decreed by the trial court on 16.1.1960. On 5.9.1967, Smt. Kirpi, widow of Sunder, died. The decree obtained by Smt Manshan was ultimately challenged in Letters Patent Appeal before the High Court by the defendant, which was dismissed on 18.11.1981. 11. Another decision of this Court in Ranbir Singh & Ors. v. Kartar Singh & Ors. AIR 2003 SC 1858 may also be referred to, in which this Court had observed in the backdrop of the fact that the widow had inherited the life estate in the ancestral property of her husband and brother. The parties were governed by custom under which a widow having life estate in the ancestral property does not have the right of alienation. Way-back in 1936 the widow made an oral gift of some of the properties to collaterals of her deceased husband. On the demise of widow in 1968, her daughter-plaintiff filed a suit against the collaterals for possession of the shares in the properties. It was held that the suit was not governed by the Punjab Act of 1920 and suit for possession could be filed within 12 years from the date of cause of action that had arisen to plaintiff on the death of her mother on 2.9.1968, obviously under Article 65(b) but the same was again a case where mother was having a life interest. In the instant matter, as Shakuntalabai was not having a life interest, Article 65(b) of the Act has no application. 12. Article 65(b) applies where the female was a ‘limited owner’ with regard to the disputed property. Hence, if the sale is not for legal purposes, it would not be binding on the estate, the husband’s heirs who would be entitled to inherit the estate after the widow’s death, would be entitled on such death to sue for the recovery of the property from the purchaser. As their right would be one derived from the husband and not from the widow, it would be independent of the widow and they would be the persons “entitled to sue for possession of the property on the death of the widow” within the meaning of Explanation (b) to Article 65. Hence, the above Explanation will apply to their suit and they would be entitled to a period of 12 years from the widow’s death within which to bring the suit as held by Full Bench verdicts in Amar Singh & Ors. v. Sewa Ram & Ors. AIR 1960 Punjab 530, Harak Singh v. Kailash Singh and Anr. AIR 1958 Pat. 581; and Mt. Lukai W/o Katikram and Ors. vs. Niranjan Dayaram and Ors. AIR 1958 MP 160. 14. Coming to the second question raised on behalf of the appellants as to the suit being barred by Order II Rule 2 of the CPC, suffice it to say that the earlier suit based on different cause of action for a declaration for one-half of the share in certain other properties was filed by Anandibai in the year 1963. At that time the property in question was not included in the suit. It had been found by courts below, the suit of 1963 was based on different cause of action on the basis of deed of 1957 whereas in the instant case, cause of action is different. It is on the basis of death of absolute owner Shakuntalabai in the year 1962, Anandibai became owner and plaintiffs had in turn inherited from Anandibai. Thus the cause of action of the suit in the present case for partition is different and dispute as to mutation had been subsequently decided. Thus, the suit for partition as filed, could not be said to be barred by Order II Rule 2 CPC. The defendants were trying to sell the property in the year 1979 as such the plaintiffs in the suit prayed for partition and separate possession. Plaintiffs could not have claimed interest in the land in the life-time of Anandibai and the cause of action in the previous suit for declaration of title filed by Anandibai was materially different. 15. Rule 2 Order 2 CPC does not apply if the cause of action in the subsequent suit is different from that of the former suit as held by this Court in State of M.P. v. State of Maharashtra (1977) 2 SCC 288. In State of Maharashtra v. National Construction Co. (1996) 1 SCC 735, when the first suit was filed to enforce bank guarantee whereas second suit to claim damages for breach of underlying contract, this Court laid down that the subsequent suit was not barred by Order 2 Rule 2 CPC. In the case of continuing or recurring wrong there would be corresponding continuing or recurring causes of action when the first suit was based on infringement of plaintiff’s trade mark, second suit was on the continuing act or infringement of its trade mark and continuous passing of action subsequent to filing of the earlier suit, in Bengal Waterproof Ltd. v. Bombay Waterproof Mfg. Co. (1997) 1 SCC 99, it was held that the cause of actions in two suits were different as such the bar of Order II Rule 2 CPC was not attracted. The essential requirement for applicability of Order II Rule 2 CPC is to establish the identity of causes of action in the previous suit and the subsequent suit so as to attract the bar as held in Deva Ram v. Ishwar Chand (1995) 6 SCC 733 and Gurbux Singh v. Bhooralal AIR 1964 SC 1810. 16. In the instant case it cannot be said that the second suit for partition was in respect of the same cause of action as that on which the previous suit was based. 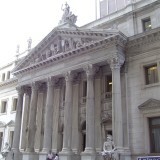 In respect of the cause of action of the previous suit plaintiff was not entitled to more than one relief. Hence, it could not be said that the plaintiff has omitted to sue for relief for which second suit has been filed. Suit for partition with respect to joint property is based on continuing cause of action, as such the suit for partition could not be said to be barred by Order II Rule 2 CPC. Submission to the contrary is too tenuous to be accepted. 17. Resultantly, the appeal being devoid of merits, deserves dismissal and the same is hereby dismissed. Costs of Rs.25,000/- to be paid by appellants to the Supreme Court Bar Association Welfare Trust within a period of two months from today. ……………………….J. (S. Abdul Nazeer) NEW DELHI; APRIL 25, 2017. Tags: ARUN MISHRA S. ABDUL NAZEERBaPusaheb chimasaheb naik- nimbalkar (dead through lrs.) and anrCIVIL APPEAL NO. 3110 OF 2012mAhEsh vijaysinha rajebhosale and ORS.